Before I get started, I just want to mention how much I love Oxygen Not Included. It fills me with wonder as much as it charges me with rage at times, especially when all my people are sick and throwing up everywhere or urinating in our clean water. It has a fantastic style to it too, although Klei games always look good (Don't Starve being another example of this). It's quite amusing to rename your people too, makes it quite hilarious when someone you know well goes around wrecking the place. Every game is a new challenge, every cavern you dig into might have something awesome and it's just good fun. 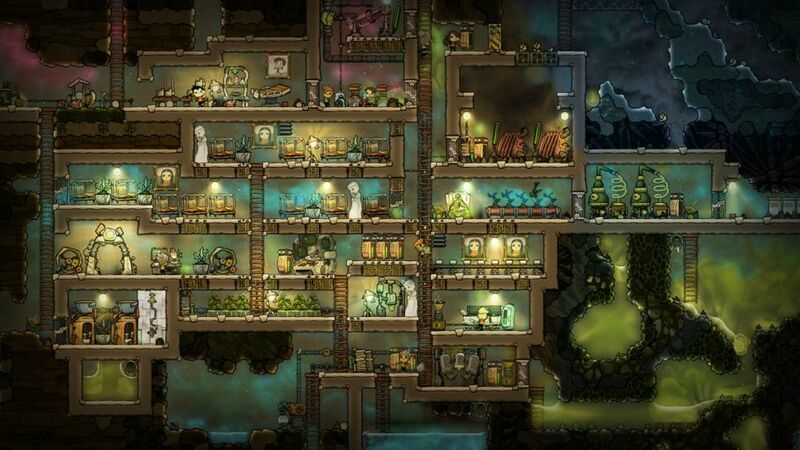 As for their plans, "late May" is their aim for the full launch of Oxygen Not Included and with this release it will gain at least 3 entirely new biomes, a bunch of creatures and new buildings. That's great and all but what I'm even more excited about is how they're also going to be making sure it has a long community life, with official mod support! After releasing, the usual bug fixes will come in while more of their team move onto making some DLC for the game where they can "can explore further ideas and expansions to ONI's world" which sounds fun. You can find Oxygen Not Included on Steam. Keep a clock handy though, set an alarm if you need to, as time will just disappear. I hope it will come to GOG or Itch then. I still think, this game could be much better, if I could play, how I want. Not, how someone else thinks, that it's should be played. Nice, I have this on my radar/wish list since a while but preferred to wait until EA ends.